Pick up a set of these SVE Caster Camber Plates for your 1994-2004 Ford Mustang to align your caster and camber after lowering it! 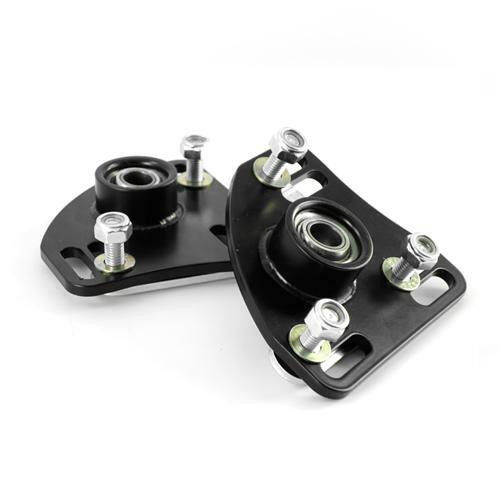 These SVE caster/camber plates are constructed of 1/4" high strength grade 50 steel to give you a 30% stronger setup over the old regular steel plates and are powder coated black for maximum corrosion protection. 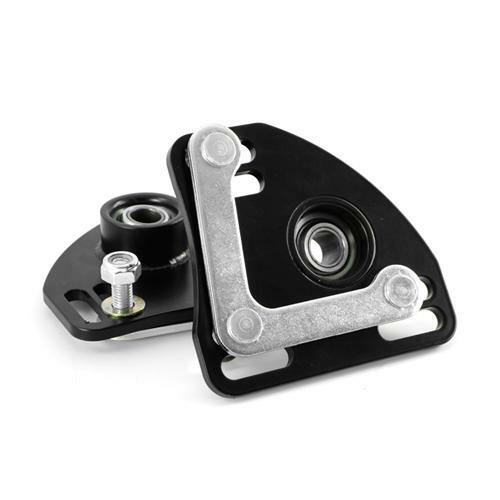 These improved caster plates feature a precision spherical bearing with stong chrome-moly alloy steel race that features a replaceable lubrication free teflon lined bearing. 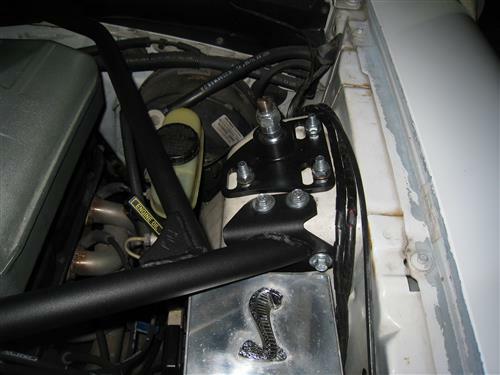 Each plate is TIG welded and powder-coated for long life durability. 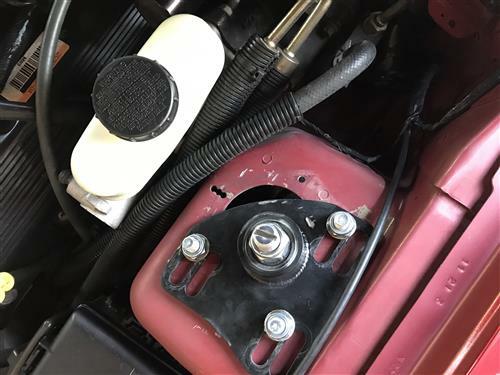 Camber adjustments are easily made with a 2 slot adjustment helping to take the guess work out camber adjustments. Caster adjustments are easily adjusted by providing slide adjustments along the plate. 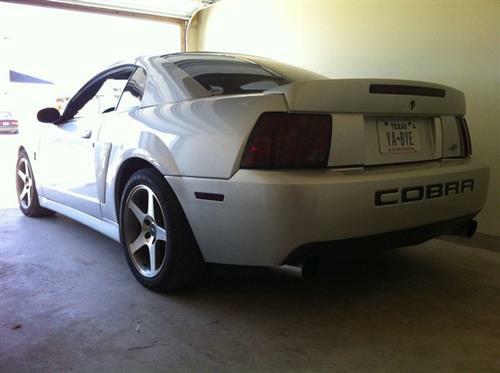 After installing lowering springs on your Mustang, you are going to have to get it aligned to prevent uneven tire wear. 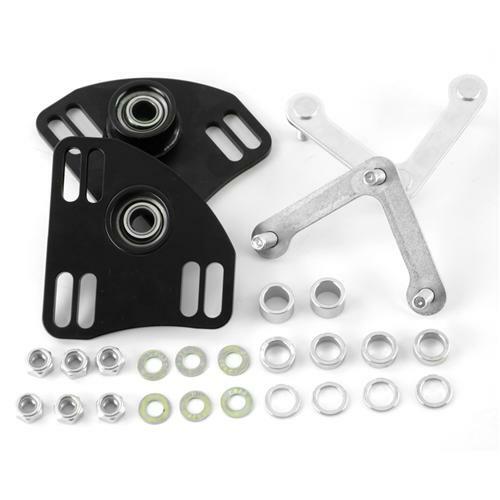 These SVE caster/camber plates allow you to easily adjust caster and camber settings to get your alignment within specs. With these plates, you can get your Mustang handling better, responding better in the corners, and give you better straight line stability. Will NOT fit Bilstein struts. If you’ve lowered or have considered lowering your SN95 Mustang, then a set of SVE caster camber plates is an absolute must have! 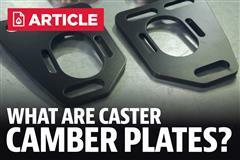 These caster camber plates offer maximum adjustments to get your suspension geometry properly corrected when lowering your car. 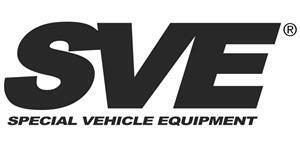 SVE’s caster camber plates are made right here in the USA, will feature a black powder coated finish for years of longevity, as well as an alloy steel support plate and are easily adjustable. This kit will include all needed hardware and installation instructions.